Perfectly fitted and designed to keep you cool, this LES MILLS iconic Speedwick racerback is slim, versatile and perfect for layering. Its clean simple lines allow for ease of movement and breathable freedom. 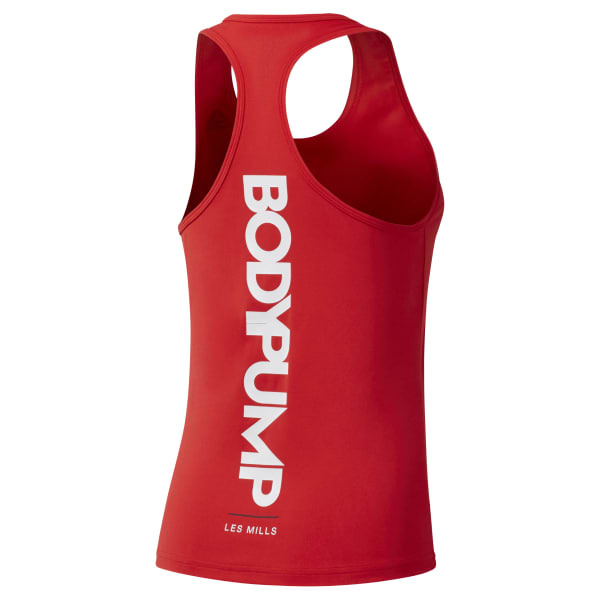 Styled with a BODYPUMP graphic at the back, subtle sporty style is what this performance tank is all about.